Pancomp Guard Monitoring Software is a real time solution providing transparency to guard services, and safety to security guards. For any security company it is essential to know where your guards are, and ensure they are safe on their patrol. Service promises to customers must be met and schedules followed. 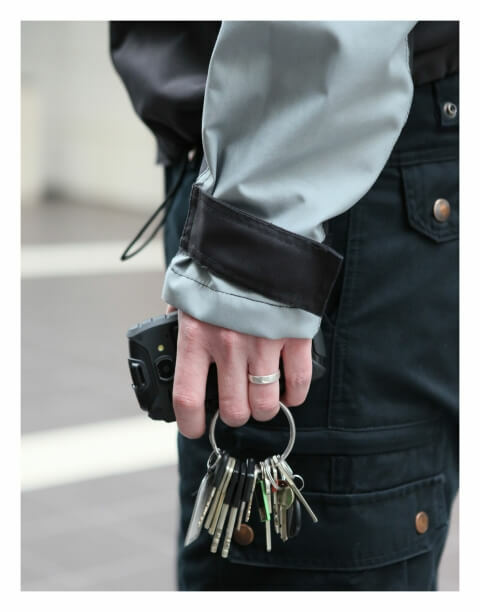 Pancomp solution is used to record information from patrols, when a guard visits a checkpoint the information is available in real time, online for the monitoring center. Management and even end users are able to see online, in real time how the rounds are progressing. 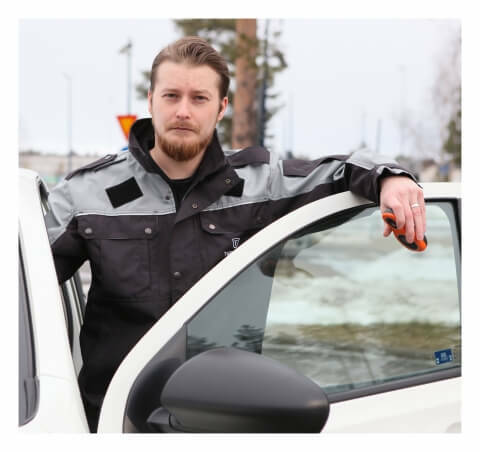 Should a guard fail to visit a check point by a given time, and alert can be raised improving the safety of the employees. Guards are even able to report various incidents online through Pancomp innovative Guard Tour Monitoring Application. With text and pictures reporting is very effective. Transparency of Guard Services is guaranteed. Pancomp Guard monitoring system is a scalable solution, fit for any size business. The guard monitoring system grows with your business as it is easy to add users and equipment to the system. Pancomp has tried and tested handsets with which a single device can be used by multiple users, or smart phone application which makes incident reporting easy from the field. Whether your clients are large or small companies, they will benefit of Pancomp reporting giving proof of rounds completed and checkpoints visited. Advanced reporting enables transparency, which can be further increased with end user access to online reporting. 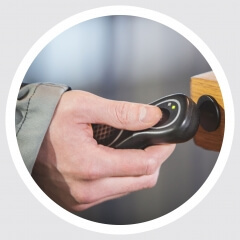 Various extra modules enable efficiency and security improvements where you need them, for example Tool Management keeps track of keys or tools used between employees and locations. Know where your employees and tools are! There is no need to manually download guard monitoring data, all data is available online in real time. 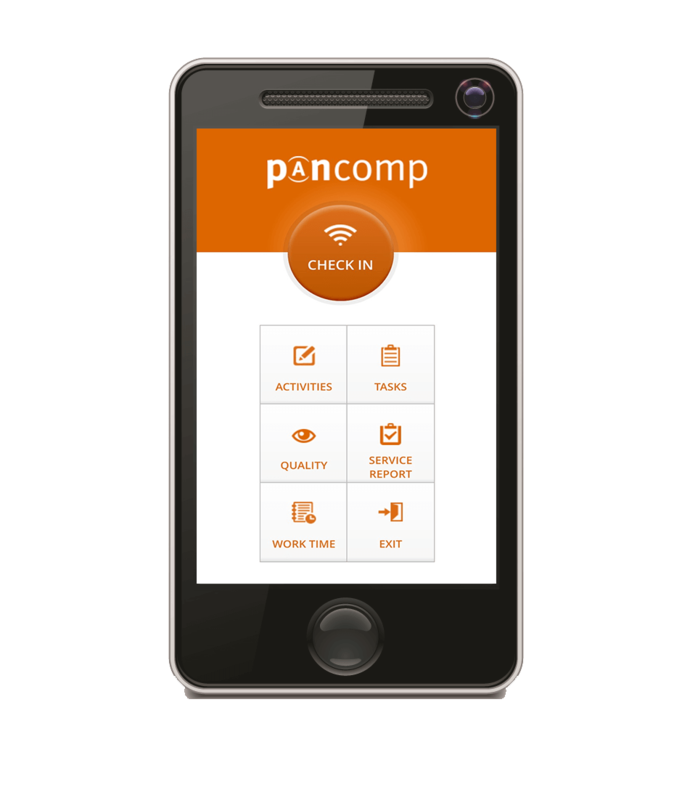 Where traditional guard monitoring solutions need the devices collected to the office for manual downloading of data, Pancomp system is real time, and all data is available online to be accessed via Internet at anytime, anywhere. 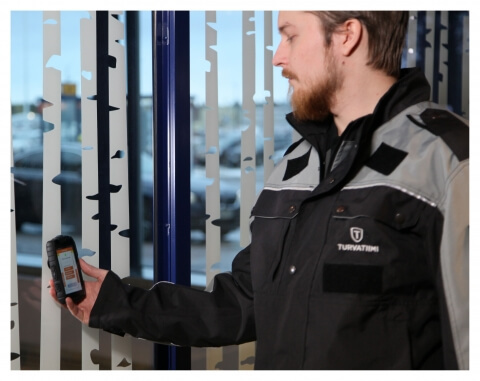 Pancomp guard monitoring solutions can be used via handsets designed for heavy use of guard monitoring, or smart phone app enabling real time reports. 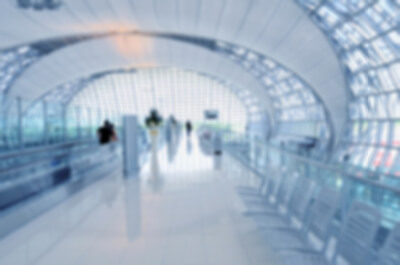 Management does not need to wait for the guard to return to office to access data from their tours, or to see incident reporting with pictures. Problems can be reacted to immediately, no need to wait!